The Brand Hydraulics SDCF valves combine the features of a four-way directional control valve, a full range pressure compensated by-pass type flow control valve, and an adjustable pilot operated pressure relief valve all in one compact design. SDCF valves allow for a reduced number of fittings, plumbing and potential leakage points in hydraulic circuits. 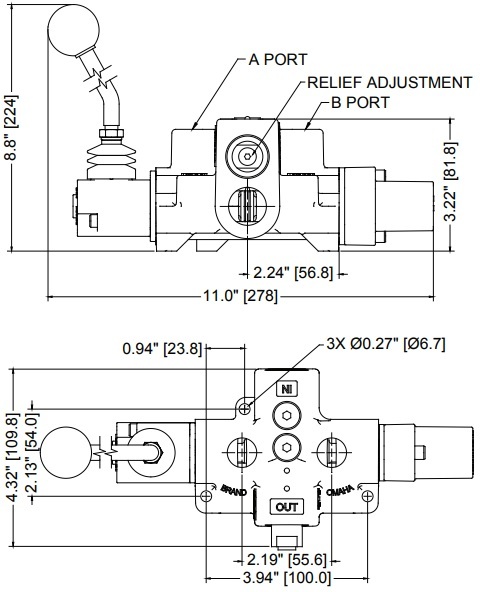 The manual handle allows the customer to meter the flow out of either port and flow to the work port is directly proportional to the movement of the lever. Flow out of each work port is constant irrespective of load changes, allowing the customer to maintain smooth and constant movement of a cylinder or motor. 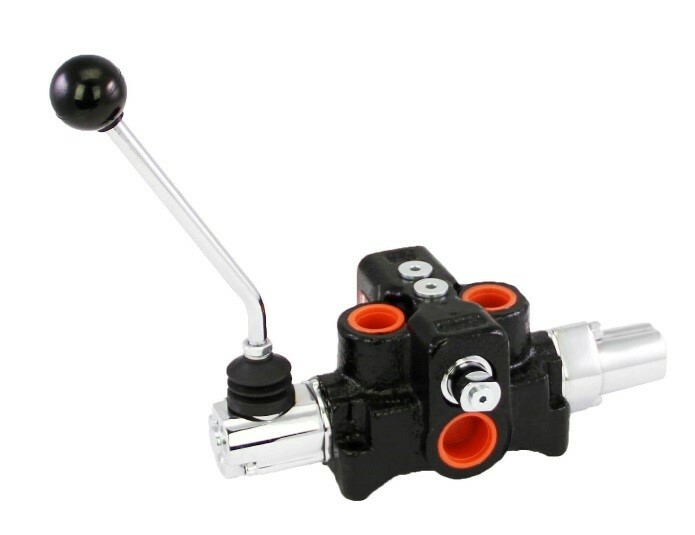 string(786) "The Brand Hydraulics SDCF valves combine the features of a four-way directional control valve, a full range pressure compensated by-pass type flow control valve, and an adjustable pilot operated pressure relief valve all in one compact design. SDCF valves allow for a reduced number of fittings, plumbing and potential leakage points in hydraulic circuits. The manual handle allows the customer to meter the flow out of either port and flow to the work port is directly proportional to the movement of the lever. Flow out of each work port is constant irrespective of load changes, allowing the customer to maintain smooth and constant movement of a cylinder or motor." string(71) "4 Way Directional Control With Pressure Compensated Flow Control Valves"